I'm on day nine of a cold. I don't usually get ill so it has kind of knocked me for six a little. I've spent the last week coughing and spluttering and snivelling and generally feeling sorry for myself but now I'm also getting a bit annoyed and just want to start feeling human again! So desperate times call for desperate measures, and in this case I'm specifically talking about measures of my favourite rum, Dark Matter, and drinking it in the afternoon. 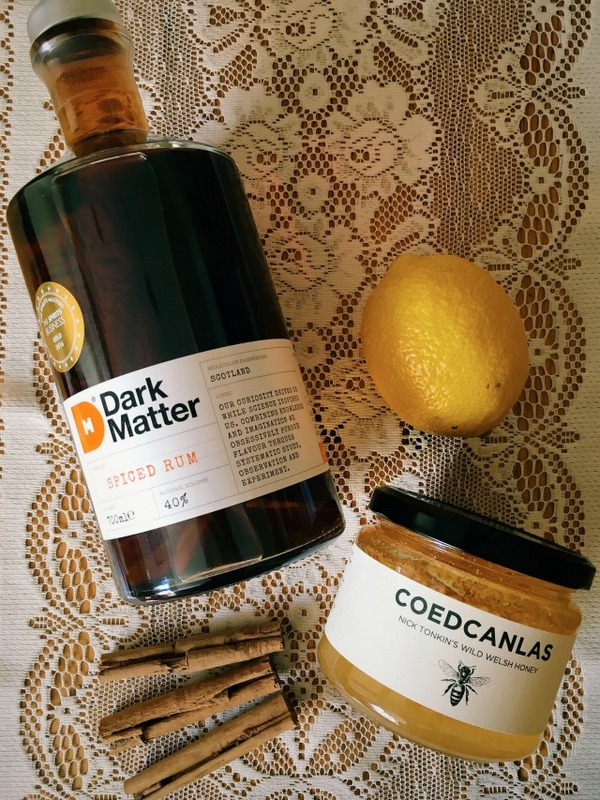 Dark Matter is a spiced rum with a difference; it hails from Aberdeen in Scotland, rather than the Caribbean! It really does have a unique kick (that'd be the fresh ginger, green peppercorns and allspice berries) and it tastes equally good over ice, mixed with coke or ginger beer - or with a few additional spices and hot water, which is the recipe I'm going to share with you today. 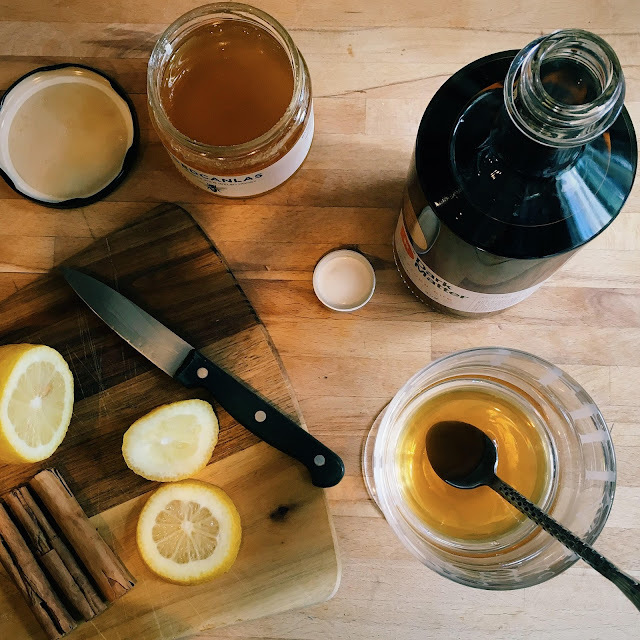 Everyone knows a hot toddy is the best cure for a common cold. 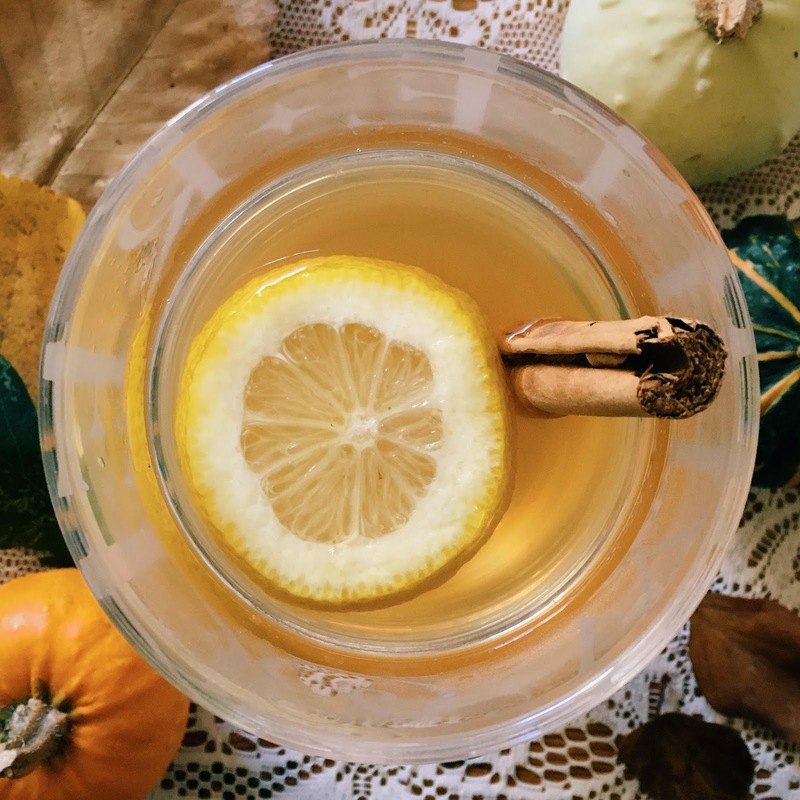 The honey soothes, the steam and cinnamon both act as decongestants, the lemon gives a great flavour (and a teeny tiny boost of vitamin C) and the booze in it helps you to relax. So if the drop in temperature has left you feeling a little poorly, and you're over eighteen of course, give this little beauty a try. Even if it doesn't cure you entirely, it'll leave you feeling much better in the short term, I promise. Boil your kettle and let the water cool for a couple of minutes. Add the honey and lemon juice to your glass or mug. 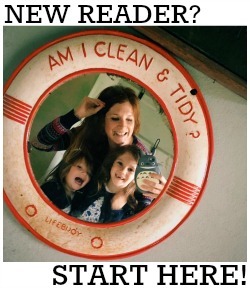 I've not used any measurements here because it really is all down to personal taste. I had one teaspoon of honey and the juice of half a lemon. Add a splash of hot water and mix. Top up with hot water, stir using a cinnamon stick and add a slice of lemon for decoration. Drink, enjoy and feel better! Thanks to 31DOVER for sending me a bottle of Dark Matter just when I needed it ;) You can buy a bottle yourself here for £33.95. You can also get 10% off your order at 31DOVER.com using the promotional code 31DKATY at checkout. This is only valid once per customer.